Time Frame USed -15 Minutes. Option Strike Selection - Option Premium between 170 To 290. 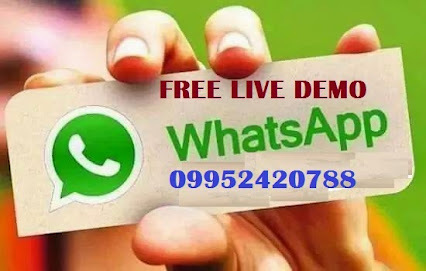 All the Calls or Suggestions posted in my wall is for study purpose alone.We are no way responsible for your misunderstanding or losses by following our levels & signals. 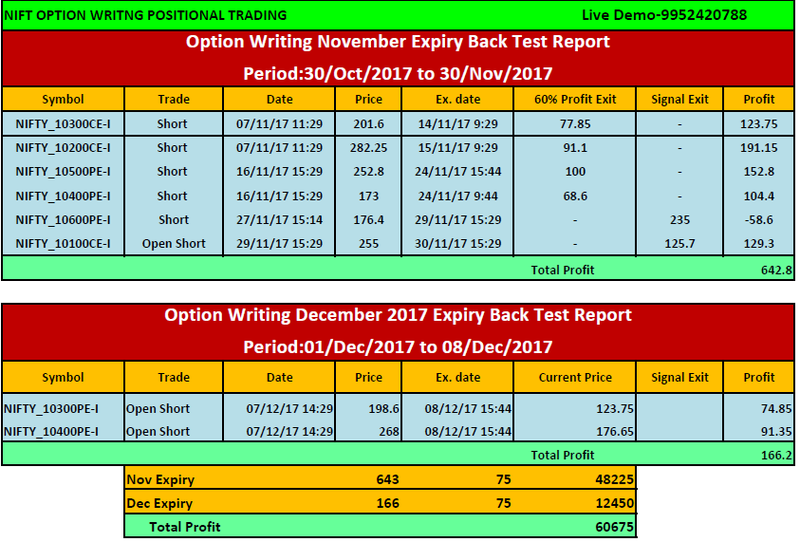 BUY OUT OF MONEY CALL OPTIONS (POSITIONAL) & SELL OUT OF MONEY PUT OPTIONS (ONLY INTRADAY). SELL AT THE MONEY CALL OPTIONS & BUY OUT OF MONEY PUT OPTION. WE NEVER SELL A PUT OPTION ON POSITIONAL BASIS. 6. As time value melts, the decline in the option’s value reduces your liability and risk as the options seller. 8. Using lower & multi time frame technical indicator for reducing risks. 9. Always trade in out of the money option writing. 10. OUR SOFTWARE GIVES MONTHLY 10 TO 15 SIGNALS AVG.BUT 8 TO 10 SIGNALS IS POSITIVE.OTHER 5 SIGNAL ARE FAILURE.BUT MAIN ADVANTAGE THOSE FAILUE SIGNALS ALSO WE MAKE PROFIT. IF WE WILL GET A BUY SIGNAL ON NIFTY IN 3 MINUTE WE SELL A PUT OPTION WHICH PE OPTION TRADE BETWEEN 100 TO 150 (ONLY INTRADAY). AND SAME TIME WE NEED TO BUY CALL OPTION WHICH CE OPTION TRADE BETWEEN 25 TO 35 (POSITIONAL). IF WE WILL GET A SELL SIGNAL ON NIFTY IN 3 MINUTE WE SELL A CALL OPTION WHICH CE OPTION TRADE BETWEEN 130 TO 220 (POSITIONAL). AND SAME TIME WE NEED TO BUY PUT OPTION WHICH PE OPTION TRADE BETWEEN 25 TO 35 (POSITIONAL).